In the 'fantasy' universe of the phenomenally bestselling Discworld series, everything runs on magic and common sense. The world is flat and million-to-one chances happen nine times out of ten. Our world seems different - it runs on rules, often rather strange ones. Science is our way of finding out what those rules are. The appeal of Discworld is that it mostly makes sense, in a way that particle physics does not. The Science of Discworld uses the magic of Discworld to illuminate the scientific rules that govern our world. When a wizardly experiment goes adrift, the wizards of Unseen University find themselves with a pocket universe on their hands: Roundworld, where neither magic nor common sense seems to stand a chance against logic. Roundworld is, of course, our own universe. With us inside it(eventually). Guided (if that's the word) by the wizards, we follow its story from the primal singularity of the Big Bang to the Internet and beyond. We discover how puny and insignificant individual lives are against a cosmic backdrop of creation and disaster. Yet, paradoxically, we see how the richness of a universe based on rules has led to a complex world and at least one species that tried to get a grip on what was going on. . .
not your average disk world book but a must for any disk world fan who wants to learn more about the way the author thinks and about the disk world. I was always a bit averse to the discworld borne solely from an ignorant bias toward science fiction rather than fantasy. 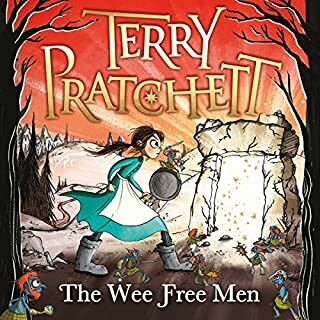 little did I know that Terry Pratchett is sympathetic to the scientifically minded when it comes to fantasy and his down to earth, common sense approach is refreshing, hilarious and deoply thought provoking. 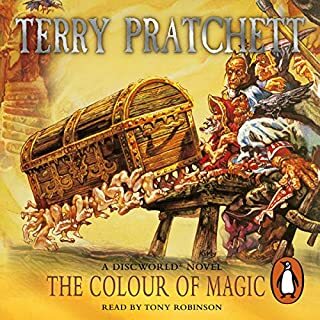 A great listen for anyone who wants a scientific invitation into popular science and the discworld at large. A fun romp through scientific concepts. This book was very enjoyable. It takes difficult concepts and discusses them in a simple way. Discworld and its magic, meat Round world and its science. How can you not love it? If there is any trilogy I can recommend to a fan of humor, fantasy or Discworld, it would inevitably be the Science of Discworld series. 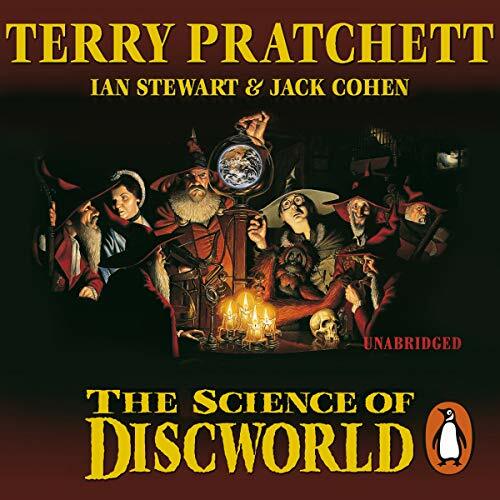 Co-written by Pratchett (Narrative) Stewart (Science) and Cohen (Science), The science of Discworld offers an amusing but insightful perspective into our beliefs, our knowledge, and our behaviors. One friend of mine described it as the Ketamine of the book world. You begin to analyse yourself for the behaviors mentioned in the book, and to grasp at how ultimate and expansive this universe is. Great work of scientific art. Mostly focuses on the science of our universe, with a side of wizard shenanigans. Some rather heavy detail in the science part so you will need basic understanding science to get most of it. 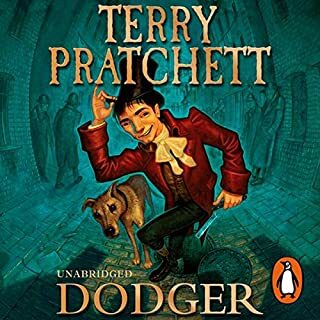 The wizards parts are classic Pratchett, and therefore very entertaining. The narrators are excellent and Stevens does a good job performing the science parts while Briggs handles story. Contains a balanced view of opposing scientific theories, and will forever be remembered for the "Lies to children" term. I have to say that, while I did enjoy this I did find some of the science a little hard to follow. But it was still good to listen to. It alternates, one chapter of science, then one chapter of a short story on the wizards, science, wizards, ect… And because of how audible has set this up, one chapter per track, you can skip all the science and just have the story if you want to. A nice addition to my Disc World collection, magic meets science, and it turns out the two might not be so different, though magic makes more sense. This book also contains a good collection of boffin like phrases to memorise and impress friends with, just as long as they don’t ask you to explain any of them. Over all a good book, a nice short story and a good chance that a bit of scientific knowledge might have lodge in ones brain by the time you get to end of it. I considered reading this book for years, but never mustered up enough interest to buy it. What a mistake! This is an excellent overview of our universe's creation, interlaced with a Discworld story of creating Roundworld. Full of facts, intelligently written and performed brilliantly! At the start I thought perhaps I'd made a mistake buying this audio book. It's so heavily laden with facts and figures, to begin with I found it challenging to consume. But once you go with flow of switching from discworld to 'roundworld' it turns boring science into something to wonder for hours after. 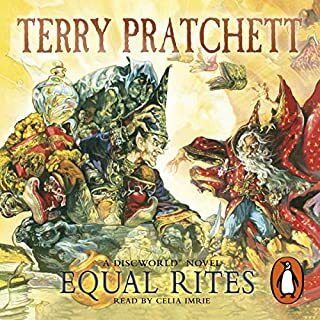 Each chapter intellectually considers huge topics and lays it out into how the discworld differs, punctuated with short chapters switching into the discworld itself and the interesting and unusual ways in which the characters perceive a universe similar to our own. brilliant audio book, I've already bought the next one! Beautifully written and read. Love every word. I enjoyed the story very much so bought second book upon finishing the first one. It is mind opening and highly entertaining. a great mix of disc world story and real life science. explains where some of the ideas for disc world came from. The science is very informative but written in a way that is easy to understand. The disc world parts have Terry Pratchetts normal humor. Mainly set in unseen university with the wizards. Science has never been this entertaining. 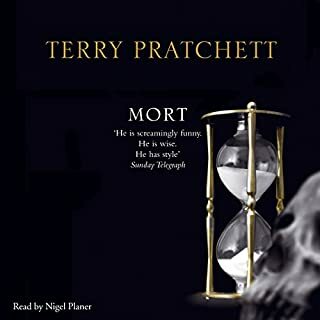 Complex themes are well presented, then dissected and lastly presented in Discworld terms. Had a happy smile the whole way through and many things make much more sense now. Obviously a must for any Discworld fan but also a must for anyone interested in the true nature of Science and on what makes humans tick. Hugely entertaining and gives a great synopsis of the history of the Universe, the real nature of matter, evolution and the history of the Earth. Next time you tell your children that the Bogeyman is real, don't feel so bad about it, the world of science it seems is doing the same sort of thing all the time. 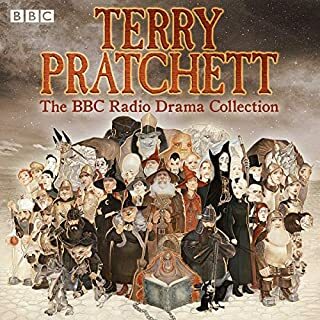 What made the experience of listening to The Science of Discworld the most enjoyable? This is everything you would expect from the characters of unseen university applying their methods, and narrative luck in creating our universe. Archchancellor Ridcully is always a favourite, as he bumbles along with an air of being above is staff, but always enjoys sinking to their level. Which character – as performed by Stephen Briggs and Michael Fenton Stevens – was your favourite? Rincewind's downtrodden demeanour comes across fantastically as with all of Stephen's Briggs' performances. That's a slightly odd question as it's not really an emotional book, but it certainly did make me laugh throughout. Definitely not something to have on in the background and well worth a re-listen as it's absolutely crammed full of the scientific principles and theories that govern our round world.